The grasslands of the Tibetan plateau are home to the source of Asia’s major rivers. Half of humanity depends on this water for survival. Tibetan nomads, known as DROKPA have roamed on this land for thousands of years. In recent decades, these once lush grasslands are rapidly turning into deserts. At some of the worst affecting areas, approximately 900 square miles of grasslands disappeared each year. Climate change, the resulting permafrost degradation, grassland privatization, grazing practice, mining and other constructions, etc. all contributed to grassland desertification on the Tibetan plateau. More research and awareness are urgently needed for this global issue. There are an estimated two million nomads living in Tibet Autonomous Region and other ethnic Tibetan areas. For centuries these nomads have ranged across the grasslands of the Tibetan plateau with their grazing herds of yaks, sheep and goats. Claiming that Tibetan nomads’ several thousand years of nomadic lifestyles caused the grasslands degenerating on the Tibetan plateau, the Chinese government has since 2003 resettled hundreds of thousands of nomads. Billed as an effort to improve the lives of the nomads and to protect rivers and save grasslands from overgrazing. the resettlement policy relocated nearly all two millions nomads between 2006 and 2015, according to Human Rights Watch. As a result, traditional nomadic lifestyles, which is such an important part of Tibetan culture has been basically eliminated. How to start a dialogue so that indigenous nomads have a voice for their own land? Nomads typically live in groups of 10 to 25 families. Women usually stay close to camp doing various chores while the men graze the animals. 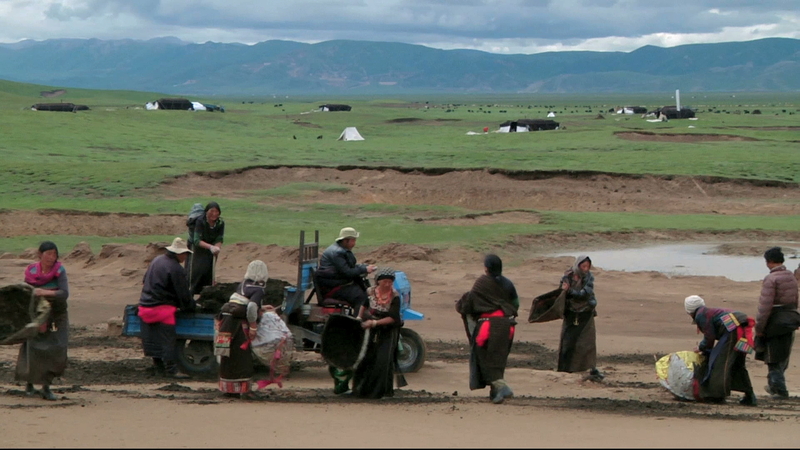 Traditionally, men and women do not have equal rights among Tibetan nomads. How to restore the degraded grasslands on the Tibetan plateau? Various methods have been attempted by the government and international organizations. Tree planting and grass planting were the two main methods but their effects were questionable. Tibetan nomads in the filming area of DROKPA utilized yak and sheep dung to cover some sandy parts on the grassland with some success. We especially welcome experienced organizations and individuals to take part in this conversation. Modernization had entered the traditional nomadic lifestyle in many shapes and forms. Instead of using male yaks to move between pastures, the nomads now use tractors, and instead of riding horses, men ride motorcycle to herd their animals. TV, cellphone and solar panels etc. have all been quickly adopted by the nomads, and more important, market economy ideas. Instead of following thousands of years of herding practice, nomads are required to fence off their pastures to prevent overgrazing and erosion, switching from subsistence communal herding to private livestock production. 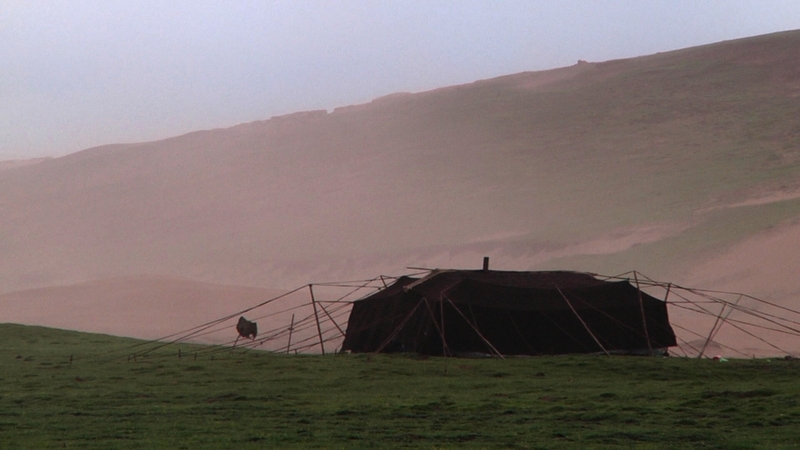 With the disappearance of tribes which formed the foundation of the nomadic lifestyle, how could the Tibetan nomads survive as a living culture? Literacy rate among nomads is very low. Children are now required by the government to go to school from the 1st to the 9th grade. Those families who do not sent their children to school would be fined. 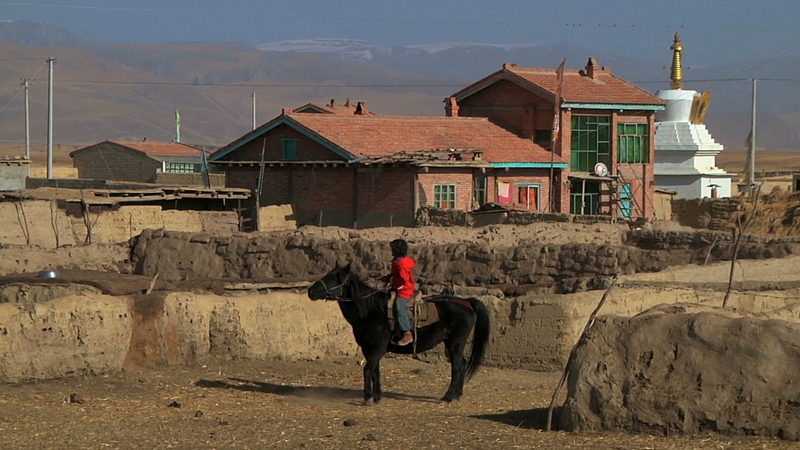 Most of the nomad children stay in boarding schools from a very young age and their education are mainly in Chinese. How can traditional knowledge be also passed on to the next generation?